WAFFLES: Hey Boss! Do you got game? KATIE: Waffles, I've got so much game, you have no IDEA how much game I've got. WAFFLES: Hey Boss! You mean like Checkers? KATIE: Yeah, Waffles. I got your Checkers. KATIE: I got your Checkers right HERE. WAFFLES: Jeepers, the Boss takes her Checkers really seriously. Thank you so much for all of your heartfelt Thanksgiving wishes! 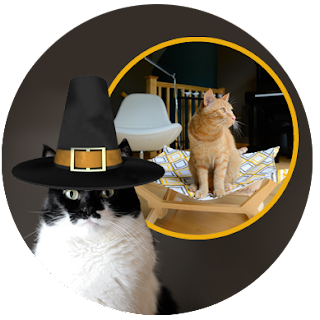 We hope you've woken up from your turkey comas though, because we've got a very special SURPRISE! 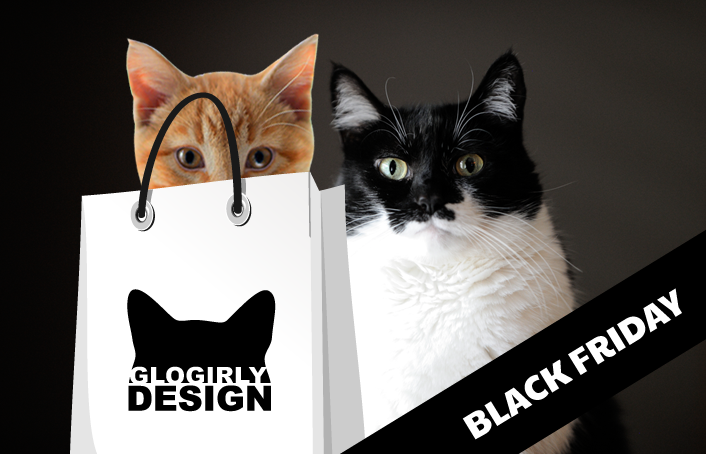 It's a 24-Hour GLOGIRLY DESIGN Black Friday Giveaway! Ok, Waffles...you're up! KATIE: Waffles, that comes at the end. WAFFLES: Sorry Boss. Ok, don't act YET! This giveaway is only open for only 24 hours. Deadline to enter is 11:59pm EST, Friday November 29. EVERYONE! It's open to GLOGIRLY readers worldwide. 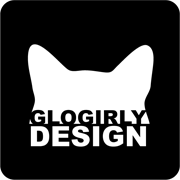 Select one prize from the following list of GLOGIRLY DESIGN faves. 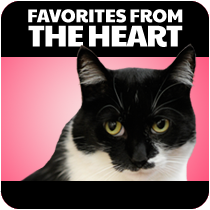 There's lots to choose from whether you're a blogger, a Facebooker, a Tweeter or you just love CATS! ● Leave us a comment telling us which prize you'd choose. If you need inspiration, visit GLOGIRLY DESIGN for fun ideas. ● ONE comment per person. 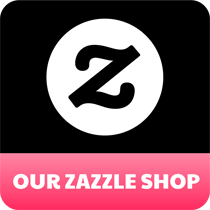 ● Make super sure we have your email. Winner will be drawn using random.org and notified via email. Winner must respond within 48 hours to claim their prize. The Boss says we're going to eat some yummy turkey this week. She says it's on account of the holiday where everyone eats a lot of food and then takes a nap. She also told me I should think of something really nice to do for the other cats who don't have the kinds of special things we do. You know, like yummy treats, nice toys and forever homes. So I got to thinking. 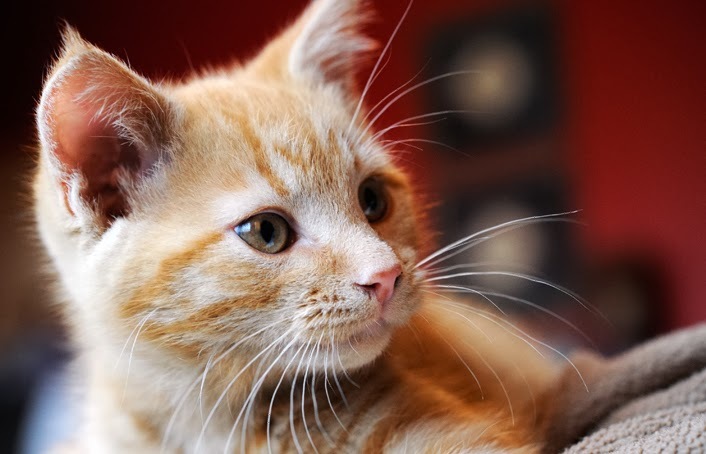 What can a little orange cat like me do to make a difference? And then something really special happened. The man in brown shorts came to our front door with 4 gigantic boxes. They're so heavy, even Glogirly can hardly move them. What's in them? 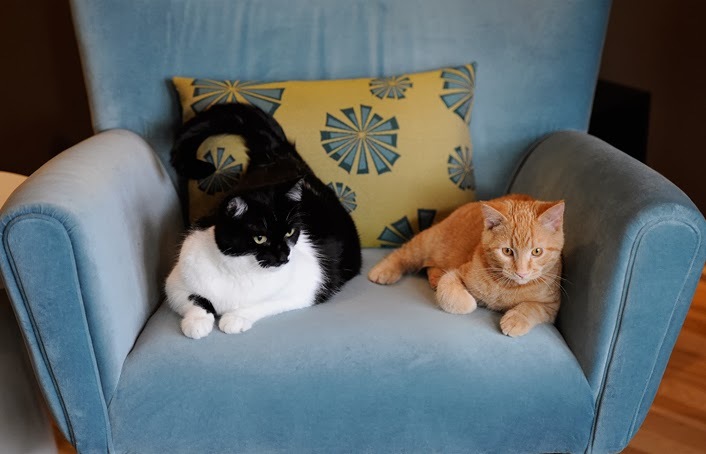 Well, remember last week when we heard the news that we had won 10,000 meals from Freekibble and Halo Pets for our kitty friends at Feline Rescue, Inc? Well, what we DIDN'T know is that we also won $1,000 in treats, food, and other cool stuff from Halo for ourselves. 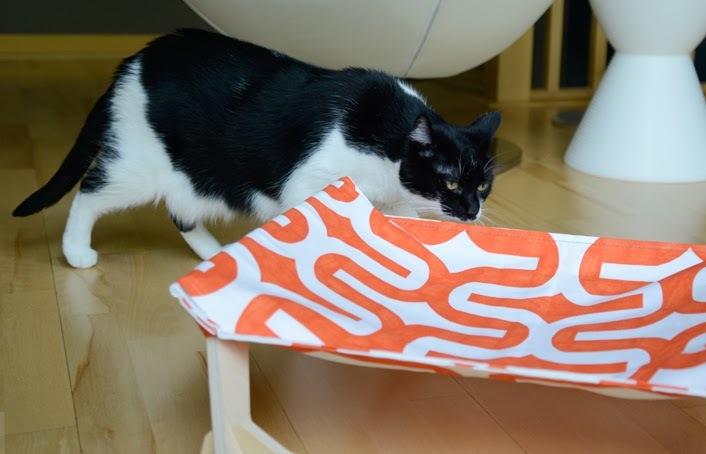 It's more that we could EVER use, so I asked the Boss and Glogirly if we could give it to the shelter kitties and they thought that was a great idea. Glogirly said that we can each pick out one treat and then we'll donate everything else. There's even some shampoo! ...the Boss was very quick to point out that we should donate ALL the shampoo. So the day after Thanksgiving, instead of standing in lines at the shopping mall, Glogirly's going to make a special visit to Feline Rescue. 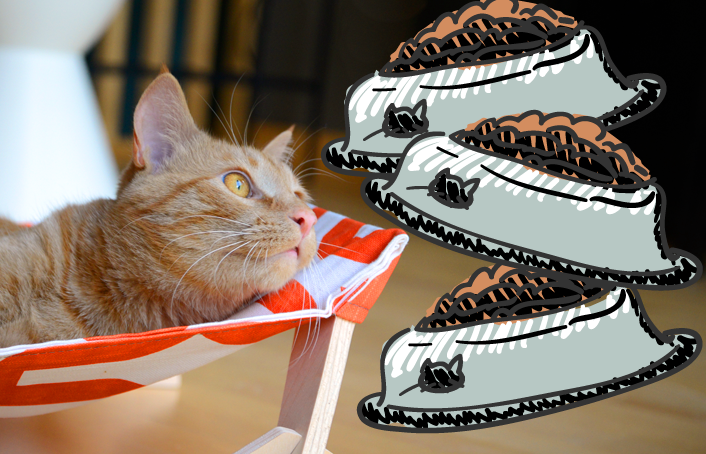 When kitties are waiting to find their forever homes, some nice treats and food ought to at least make their tummies happy. 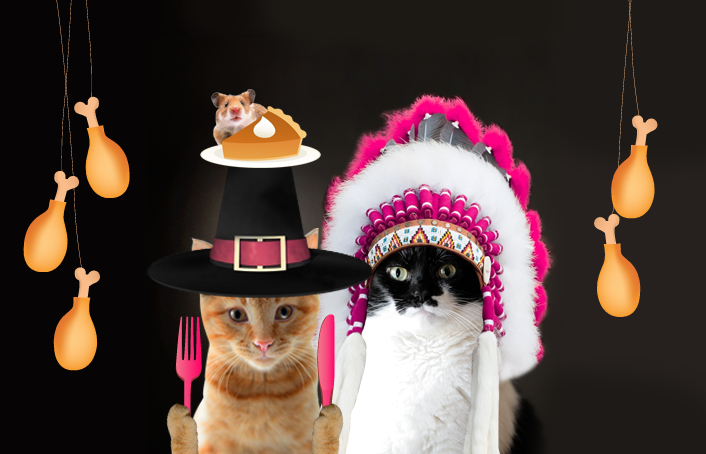 Happy Giving Thanks Week everybuddy! 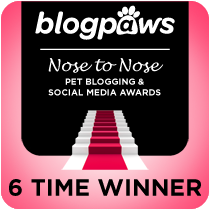 we're participating in the BlogPaws Wordless Wednesday Blog Hop. 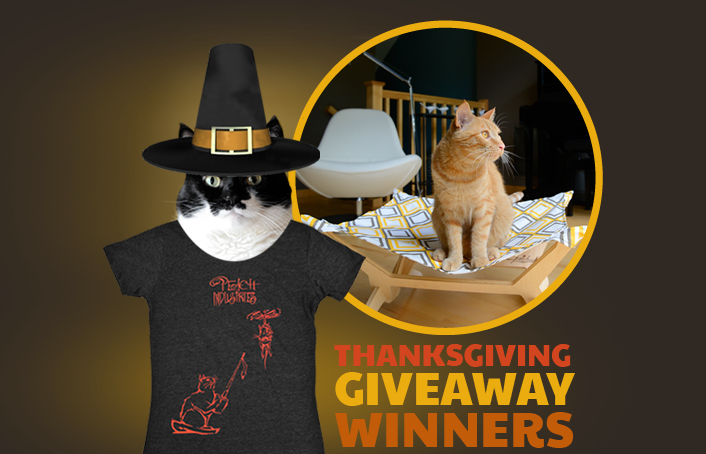 You can too...just click HERE to enter! Well yesterday's pet psychic didn't see THIS coming. Either that or she was holding back. 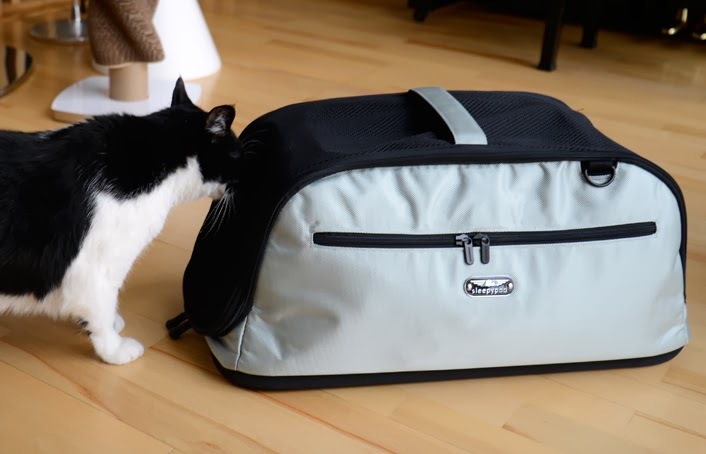 I was abruptly woken from my peaceful slumber and stuck inside this carrier, against my will I might add. I could have sworn I had my kitty well-check at the vet just last week but according to my chart it's been a whole year. I was in fine form and did not disappoint. The vet tech went straight for the armpit length suede gloves. The gloveless vet was living on the edge though as she looked inside my ears and mouth. Had I not been wrapped in a blanket like a burrito, I'm certain there would have been blood. 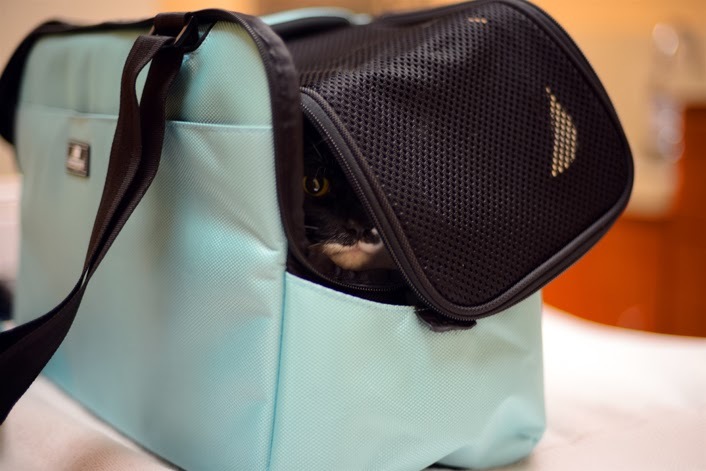 After the vaccination stabbing, I was allowed to retreat back into the carrier, out of reach and view of those grabby hands. Meanwhile Glogirly and the woman in the white coat were talking about calories and carbohydrates, giggling it up at my expense. The good news is I'm down to a sleek and svelte 10.2 pounds and am no longer a contestant on The Biggest Loser. The bad news is I overheard White Coat tell Glogirly I only need 185 calories a day to maintain my girlish figure. 185??? Surely that must be a typo. This does not bode well for my freeze dried salmon habit. Just a Couple Days Left to be Part of GLOGIRLY History! 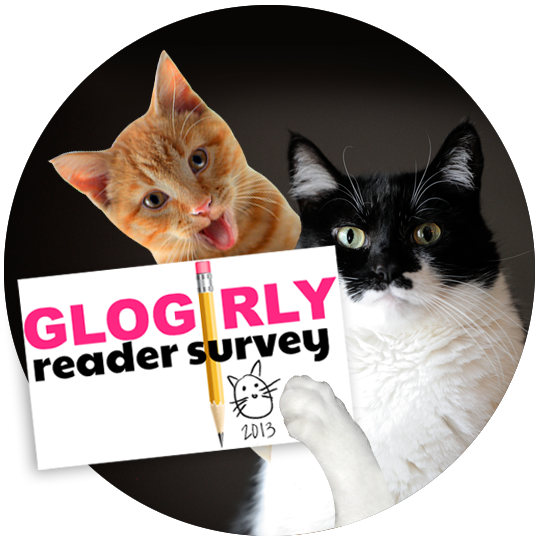 Please help us be the best we can be by taking the 1st Annual GLOGIRLY Reader Survey. It's open through Wednesday, Nov 27 and we'll be sharing the results after Thanksgiving. ...when we wake up from our Turkey comas. Thank you so much for reading GLOGIRLY and thank you taking the survey! Glogirly's always telling me I'm psychic. I know just what she's thinking even before she's thinking it. When she's pretending to be sleeping in the morning, I know she's just laying there with her eyes closed, thinking that it's time for my breakfast. 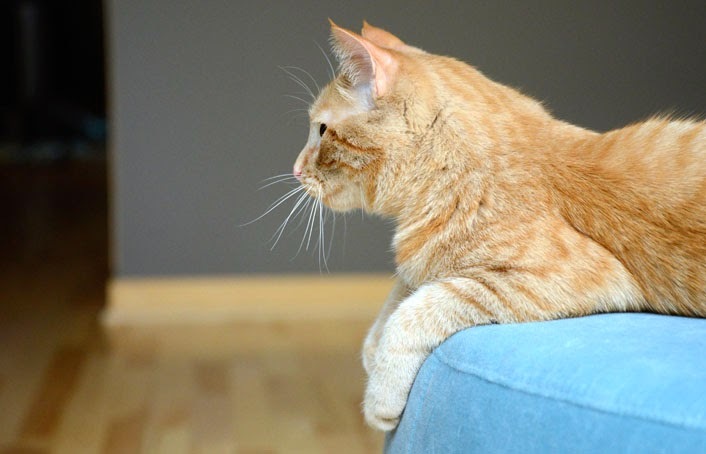 And I ALWAYS know what Waffles is thinking. Considering there's nothing but marshmallow fluff between those orange ears, it's not hard. Well some people have the same gift. They're called Psychic Readers. 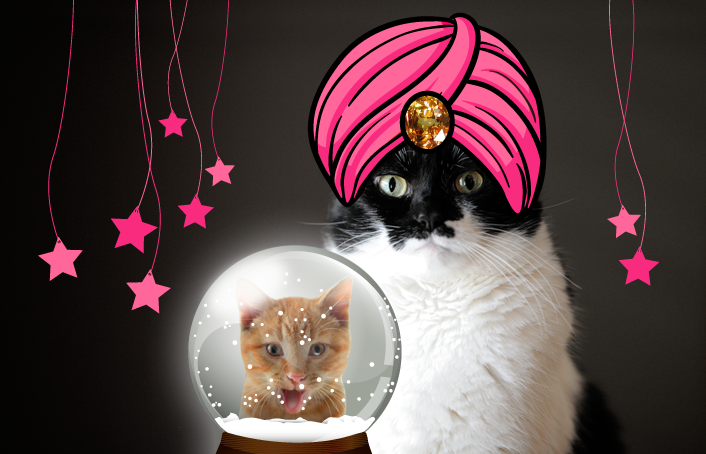 Did you know there are some Psychic Readers that are also Pet Psychics? I mean, besides me of course. We were contacted recently by Psychic Source. They asked if we'd like to have a reading with a Pet Psychic and then write about it. Glogirly had a couple of readings herself almost 20 years ago. Although she's very creative, her brain is much more scientific. She's a born skeptic. Still, those readings she had years ago blew her hair back and touched her in a way nothing else has. Our reading was with Psychic Nancy and one of her specialties is pets. Glogirly was smiling and laughing the whole 45 minutes they talked. In fact, I think she's still smiling. Whether you're a newbie to this or have had a dozen readings, whether you're a skeptic or a believer...it's an incredibly fun, rewarding and insightful experience. We loved Nancy. Her voice was so compassionate and friendly...in no time at all, Glogirly said she felt like she was talking to an old friend. So I Bet You Want to Know What the Pet Psychic Said! Nancy asked Glogirly what she wanted to focus on for her reading. 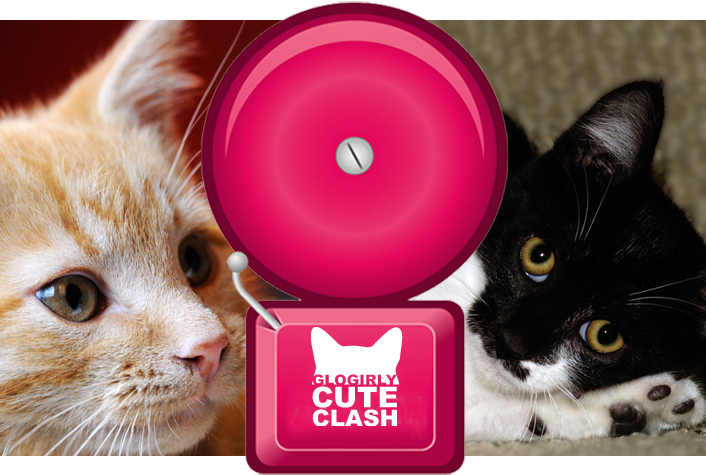 Glogirly introduced herself and explained she was a cat blogger and wanted to focus on her two cats. 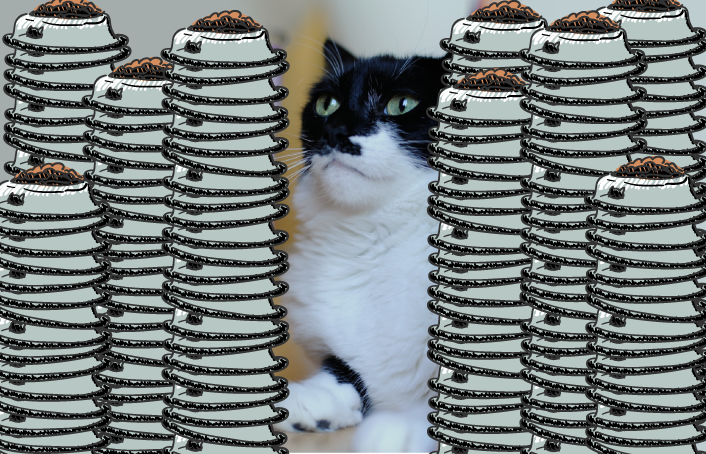 Nancy asked what her cats' names were and then suggested they start with Waffles...obviously saving the best for last. All she wanted to know was his age and what kind of cat he is. 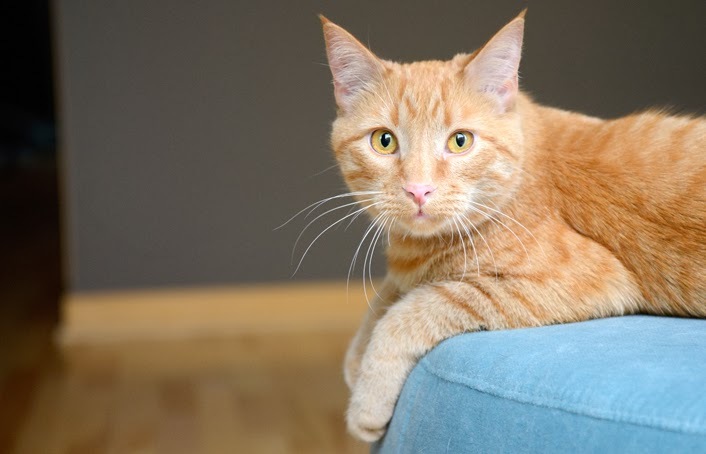 Glogirly told Nancy, "He's just over one year old and he's an orange tabby." She didn't tell Nancy that he's also a terrorist. Every single thing Nancy said described Waffles' personality perfectly. I swear it was like she was psychic or something. She talked about Waffles' relationship with Glogirly, with me, she even talked a little about what he may have encountered before he came to live with us. According to Glogirly, Nancy was SPOT ON. He wants ALL of Glogirly's attention. He loves Glogirly to pieces and believes he is her knight in shining armor. There's just something about Glogirly & Waffles...a special and unique bond that doesn't come along very often. It's like they're soulmates. 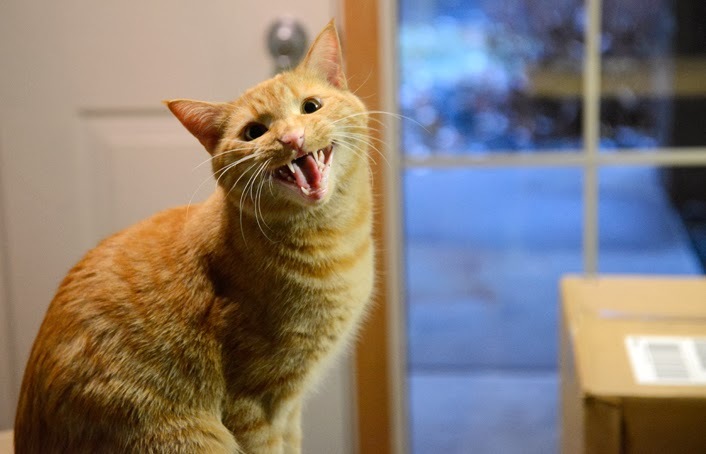 Waffles' is a talker. (no kidding!) Both to Glogirly and me. He's carefree and lives life in the moment. Before he came to live here, there was someone that may have not treated him the way he would want to be treated...a male that made him always wonder if he'd be ok. He felt wary and guarded and didn't want to stay there. But all of this made him stronger. He's such a brave and strong cat. He keeps going no matter what. Because he's so strong, Nancy believes he will live a very long life. Maybe even 22 years. At that point she talked about a tarot card she had turned over. She explained it was the 3 of Pentacles and it showed a woman with a male looking right over her shoulder. In this case the woman was Glogirly and the male was Waffles. Just as she said this, Glogirly realized Waffles was sitting on the back of the chair she was in, looking over her right shoulder. Nancy explained it was a very happy card and how Waffles has so much love for Glogirly. I think what touched Glogirly the most was what Nancy said about Waffles and his capacity to share love. She said that, "By the age of 3, he'll be working magic with other people too." 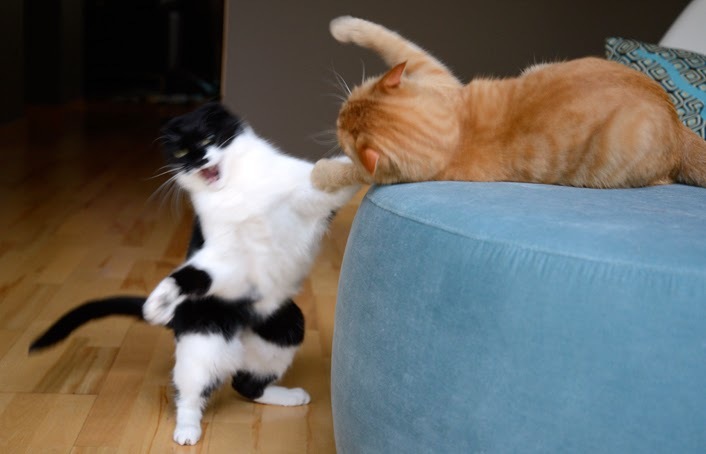 At that point Glogirly told Nancy that she's working with Waffles to help him become a Therapy Cat. "Waffles is going to make a difference in the lives of so many people and his bond with Glogirly will become stronger and stronger." Ok, now for the good stuff. All Nancy knew about me was my age and that I'm a tuxedo girl. She said that when Waffles first came to live with us, I tried to understand why, and at first I became a hermit. It was just because I needed to be alone. But now I want to cling to Glogirly more. She explained that in my mind, I've come out on top. 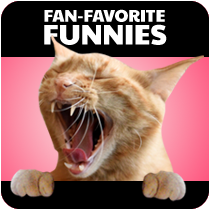 In my mind, I'm the #1 top cat. 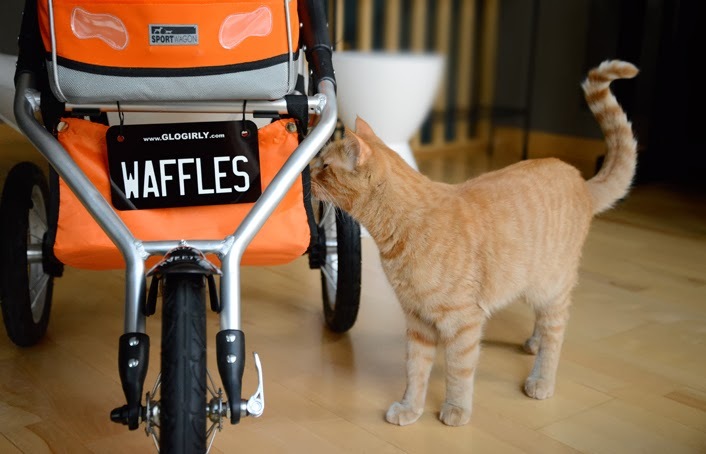 Because of how carefully Glogirly introduced Waffles to me, I can now feel vindicated. I strutt my stuff and I'm worthy of notice. I have a high opinion of myself and I love praise and compliments. It's important for me to be acknowledged. I have to feel like I rule the townhouse, whether I do or not...though we all know I DO. Nancy talked about the special relationship I have with Gloman. She explained that I'm magnetically drawn to him. (...and yes, I come running with a spring in my step when he calls me.) She told Glogirly about our conversations. We talk to each other at length. Gloman has earned my respect and I look to him to lead the way. Oh, I love Glogirly very much too...there's just something really wonderful about Gloman and me. Nancy was incredibly intuitive about this bond that Gloman and I share. It helped Glogirly understand the special times I share with him. Is Waffles Growing on Katie? At first, Nancy explained, I viewed Waffles as an opponent. Bit by bit, he's begun to grow on me. 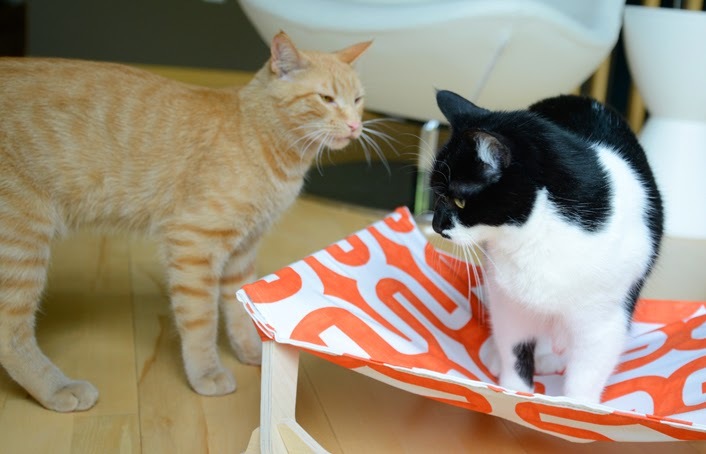 In fact, Waffles is becoming more and more diplomatic, respectful towards me and, her words not mine– wise. 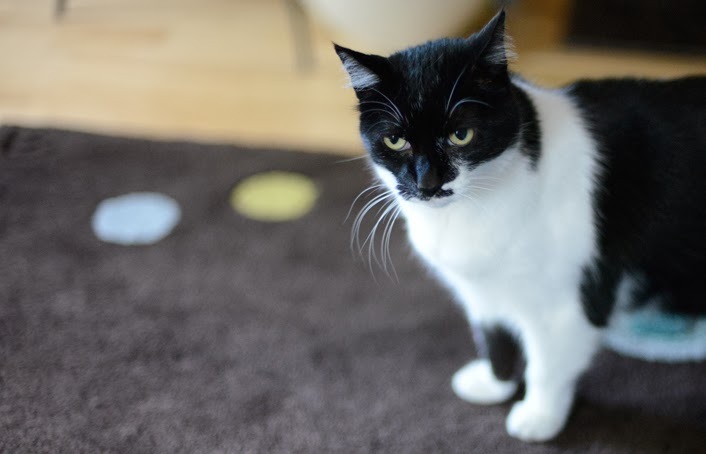 If you'd like to arrange your own Pet Psychic Reading, we would whole-heartedly recommend Nancy. She does readings on the phone and via chat. You might wonder about how this differs from being physically present for a reading. Psychic Source explained that their advisors invariably tell them that their intuitive response to a person or pet does not depend on their physical presence in the same room. In fact, sometimes a person sitting in front of a live psychic feels apprehensive and is not easily readable, while someone getting a live psychic reading by phone or online chat may be much more open and in tune with the experience. 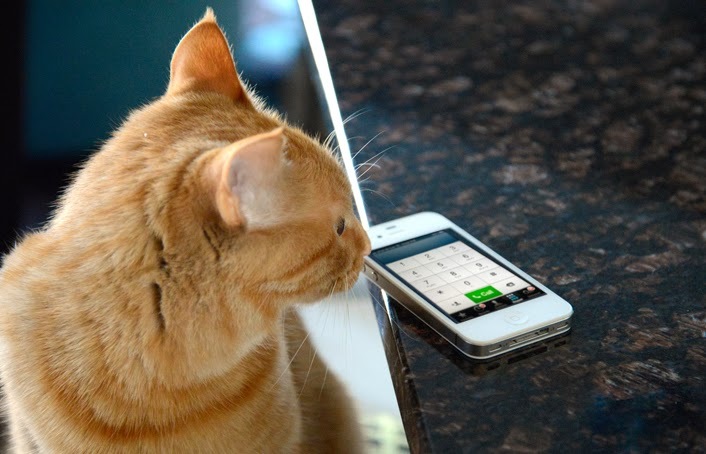 We think the personal touch of a phone reading is the best. There's just something very comforting and connecting with someone's voice. 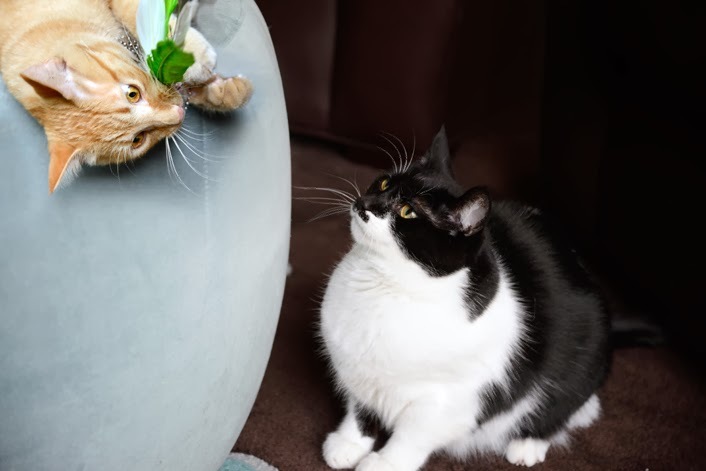 Learn more about Psychic Source Pet Psychics HERE. Arrange for a phone reading HERE. Find Psychic Source on Facebook & Twitter. 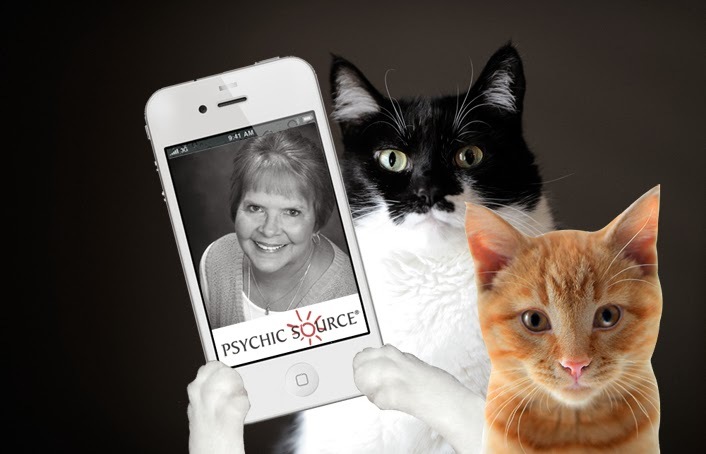 FTC Disclosure: We received a pet psychic reading for review at no charge from Psychic Source. We also received a small fee to cover the time it takes to test, take photos, and write the review. Receiving the free reading and the fee did not influence our review. All reviews on GLOGIRLY will always reflect our honest and unbiased opinions. Our experience with Psychic Source and Nancy was nothing short of wonderful. 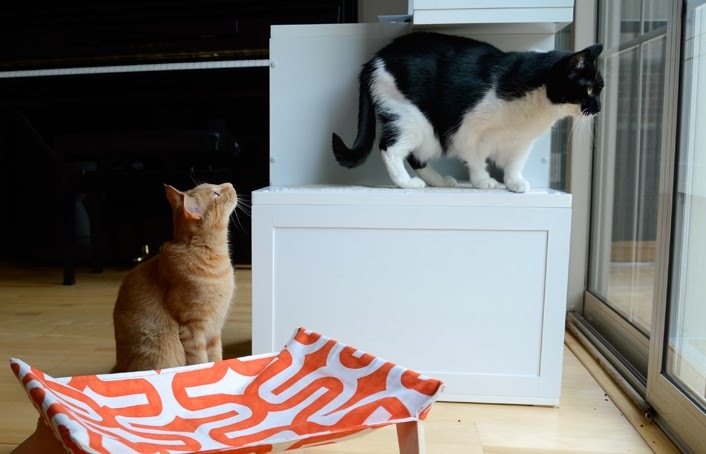 WAFFLES: Hey Boss, look up here! I'm over you! KATIE: Well Waffles, I'm down here. And I'm SO over you. Please help us be the best we can be! By taking the 1st Annual GLOGIRLY Reader Survey, you can help us be the best we can be. ...and we're not talking about the Army! The survey is open through Wednesday, Nov 27 and we'll be sharing the results after Thanksgiving. ...when we wake up from our Turkey comas. We haven't played Cute Clash for a while so we're dipping back into the cute archives to see just how loud we I can make you squee. May the best cute win. In this corner we have ME. 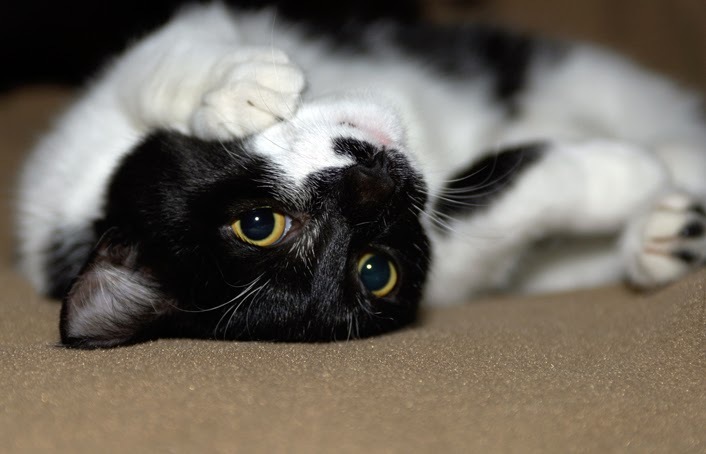 Classic tuxie beauty, turning on the charm with the patented *Upside-Down-Head-in-the-Blanket* Cute combined with the *Paw-Touching-Cheek* Cute. 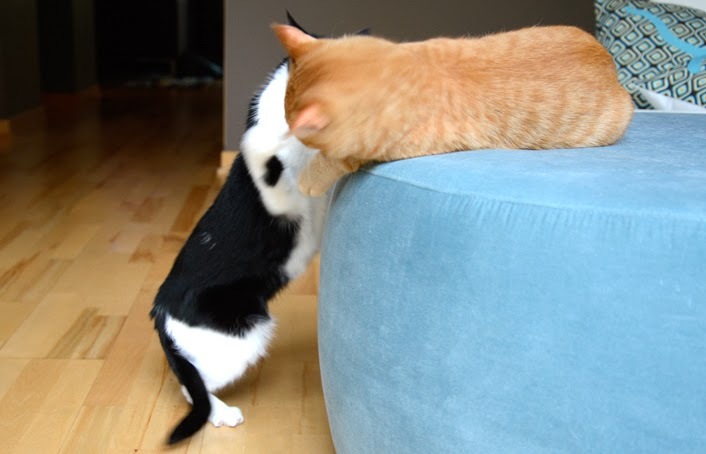 A Cute Double-Play. And in this corner we've got Waffles. Nothing to see here. 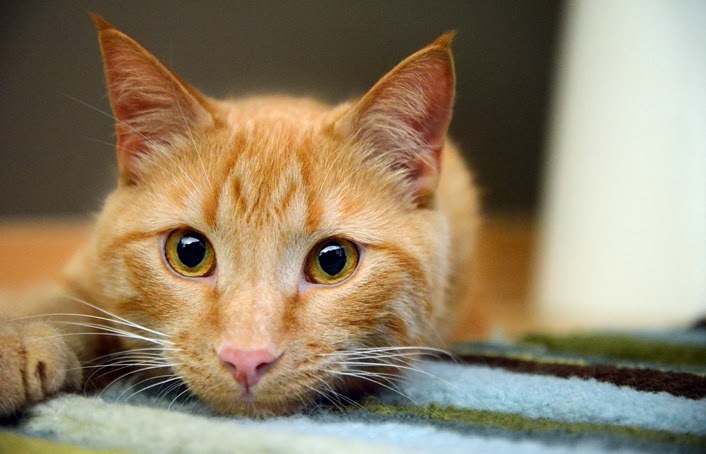 Just another orange cat. Here's ME again. I call this one the *Paw-Prayer* Cute. 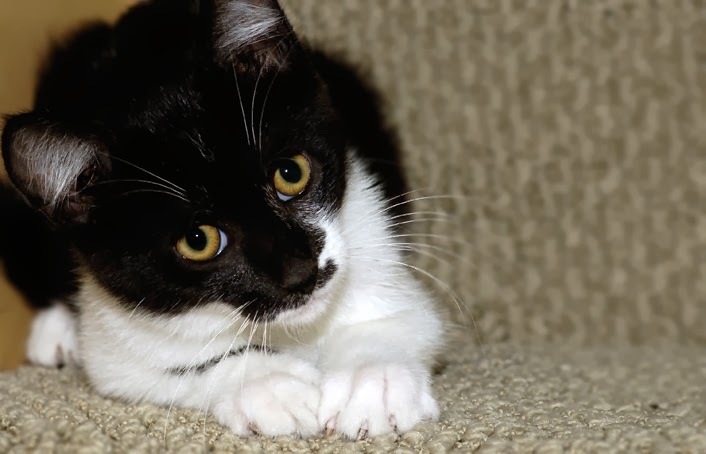 I've combined it with the *Head-Tilt* and the *Don't-Leave-Me-I-Love-You-Eyes* Cute. Booyah! Triple Play. Here's Waffles again. 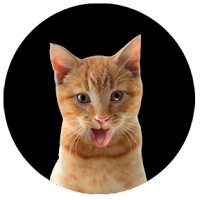 Still just another orange cat. 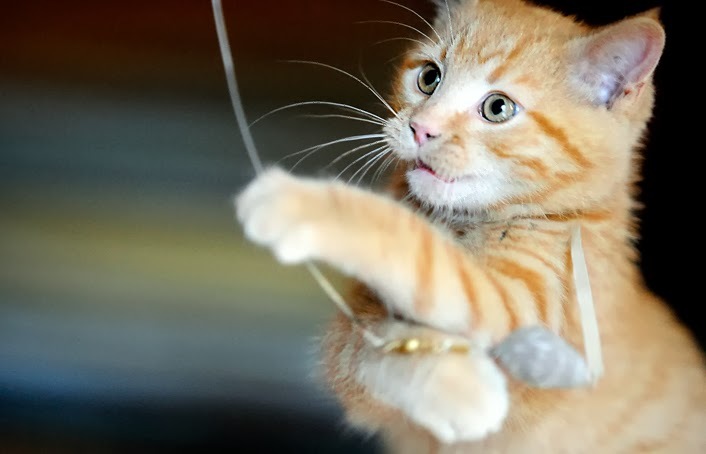 Playing with a wand toy. MY wand toy. Go sell your cute somewhere else. We'er all stocked up here. Game over. KATIE: Please help us be the best we can be! Take our 1st Annual GLOGIRLY Reader Survey. Share your inner-most thoughts. Well actually it's just checking a few boxes. WAFFLES: But they're really important boxes! KATIE: It will just take a couple of minutes. WAFFLES: And we promise it will be fun! KATIE: Just click the link and you'll be brought to our Reader Survey blog post. It's right here on the blog...not some icky survey site. It will remain open through next Wednesday, Nov 27. Thank you so much! KATIE: Hmmm. I smell something funny. Something... orange. KATIE: Definitely NOT something ha-ha-funny, Waffles. 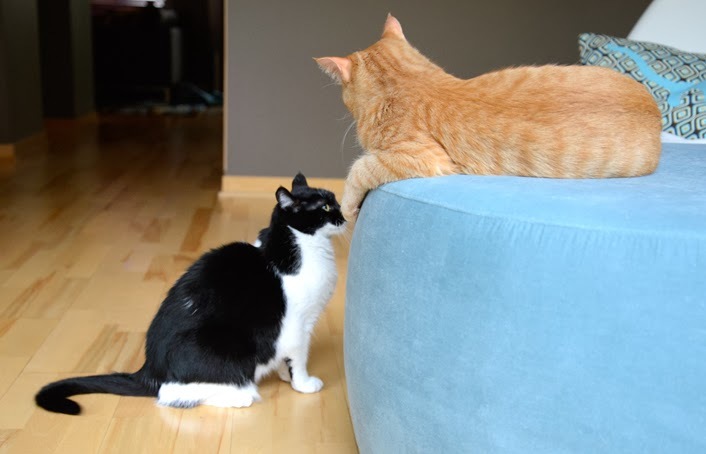 WAFFLES: Hey, Boss. I smell something TOO! WAFFLES: Yeah, Boss. You told me something about something. I think I'm pretty sure it was something ha-ha-funny. So the Boss says I'm supposed to ask you really nicely if you will pretty-please fill out our first annual reader survey. Last week marked out 900th blog post and Glogirly thinks it's important to check in with our friends and readers to make sure we're giving you everything you want and love. ...well, except for lots of money and world peas. Whether you wake up every morning with us or stop by every once in awhile (even you lurkers!) we'd LOVE to hear from you. It's totally anonymouse, so we won't know who you OR your mouse is. 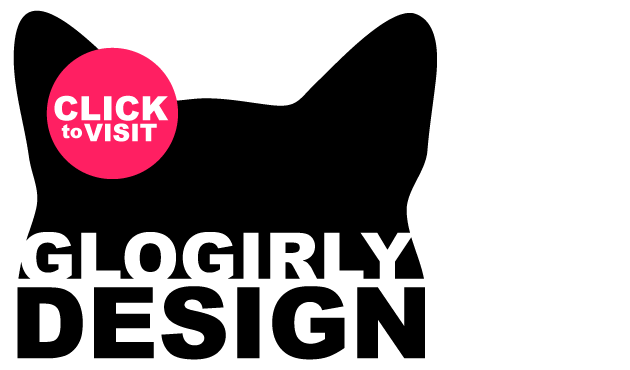 And Glogirly says we're going to do a super fun recap post with an infographic and everything! She also said to stop groaning already because THIS infographic will be super cool. Not some boring old thing about going on a diet or visiting the vet. I bet it's going to have my picture on it too! 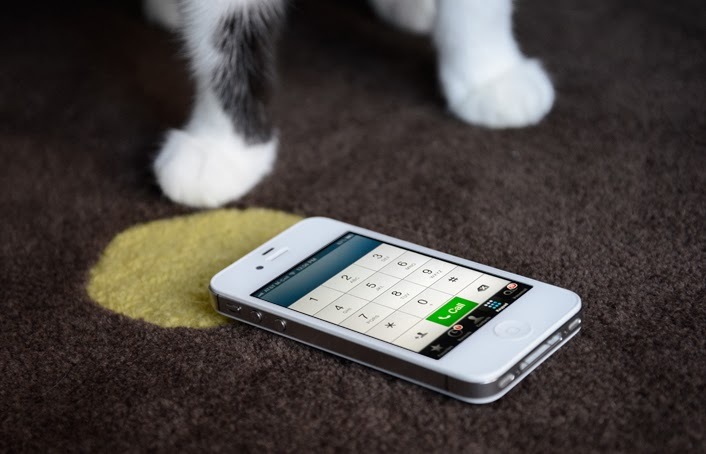 We're going to leave the survey open for a week in case you need to go play with a wand toy or use the litter box. But it's really quick, just 16 simple questions and you take the survey right here on our blog. If you read us on a reader or in your email, you probably have to click to our actual blog site (GLOGIRLY.com) ...I think. I mean, I'm just a survey monkey in-training. Is that why Glogirly calls me Monkey? PS: When you finish, just click DONE. The survey will remain but your answers will be magically submitted. You might think you didn't really take it...but as long as you click the DONE button, you're golden! I used to dread the man in the brown shorts who'd ring the doorbell and pound on the door. I realized though that he often comes bearing gifts. Boxes of treats, food, toys, even feathers. I had no idea it was the MAILMAN I should actually fear. A postcard came for me. Trust me, it WASN'T from one of my fans. I recognized the return address immediately. Westgate Pet Clinic. 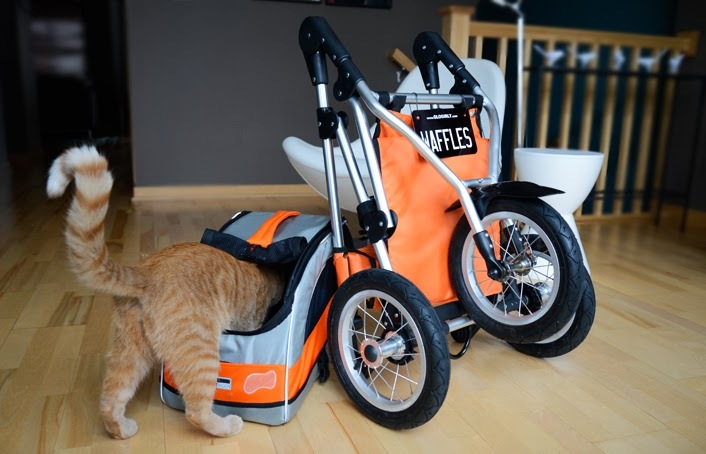 I looked on the front, I looked on the back, frantically searching for Waffles' name. Surely he must be due for something. My hopes were dashed when I saw my own name. Some kind of vaccination, which we ALL know means a shot. And something called a Feline Well Check. That's just a sugar-coated way of telling me I'm going to be poked, prodded and inappropriately touched. I haven't had my temperature taken in years. They're all too scared of me. I'd like to keep that trend going. 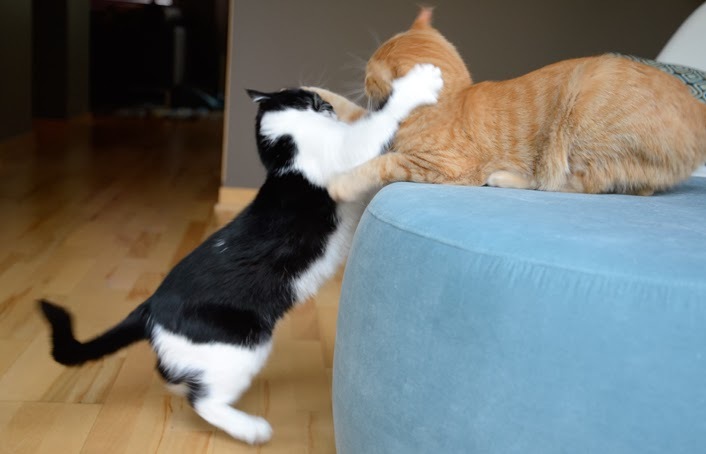 WAFFLES: Hey Boss!?! You get to go to the Vet??? COOL! 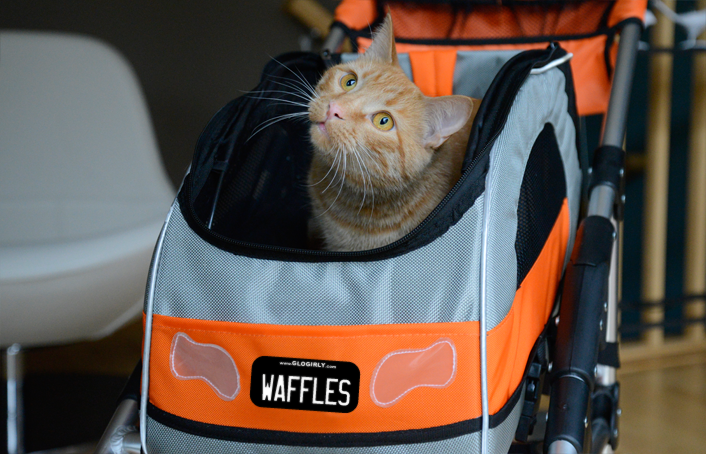 WAFFLES: You wanna take the Waffle Wagon? KATIE: Ah, no. If I must go, I prefer to arrive sans wheels. Just a couple of days left to enter! 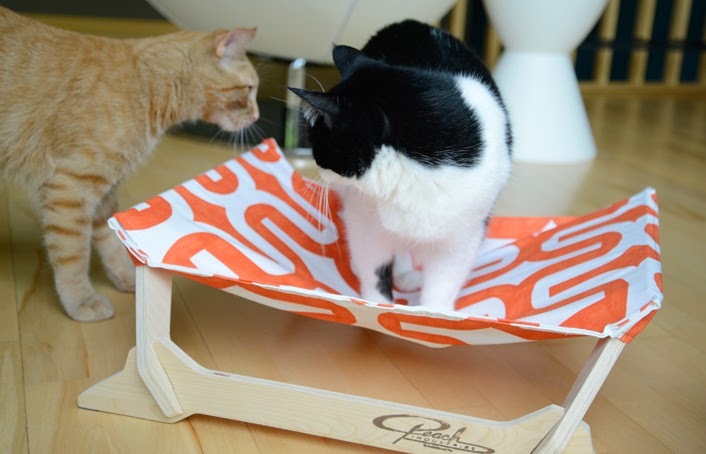 Win a Peach Industries Kitty Lounger for your favorite 501(c)(3) shelter and a cool organic t-shirt for yourself! Although the shelter must be located in the US, the drawing is open to readers worldwide and the t-shirt can ship worldwide too! Deadline to enter is Wednesday, November 20 @ 11:59 EST. 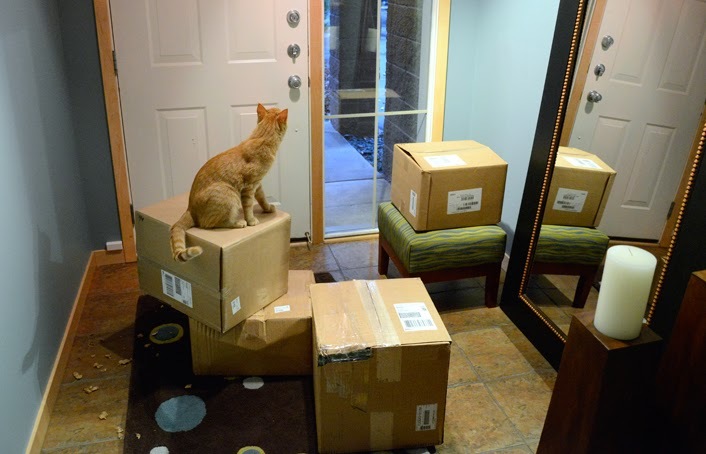 10,000 Meals For Minnesota's Feline Rescue, Inc!!! We're about to make your Monday SO much better than you ever expected it would be. 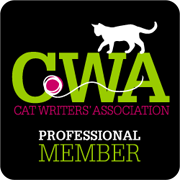 If you're a regular reader here, you know we sometimes get down on our hands and paws to ask for your votes. 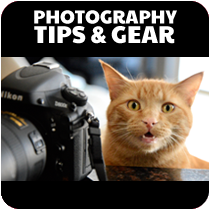 There's photo contests, blog contests, video contests and more. We received some amazing news this weekend. WAFFLES: Thanx, Boss! 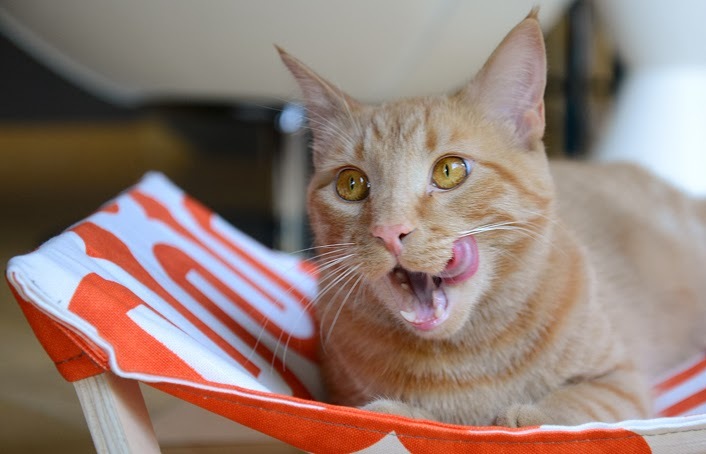 Um, the Freekibble.com and Halo people are donating 10,000 meals to Minnesota's Feline Rescue, Inc. I'm not sure how many that is on account of I've never seen that many zeros before. The Boss says that we owe it all to YOU, our supercalafragalisticexpialodoshus friends! I don't know what THAT means either, but the Boss says it's pretty awesome. 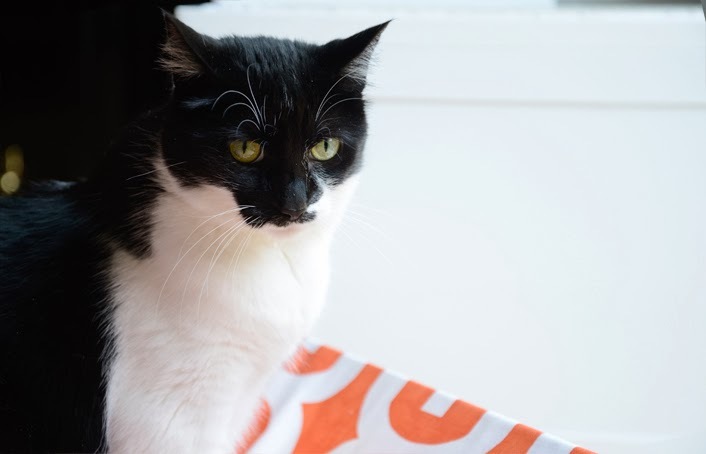 KATIE: Glogirly is hoping to be at the shelter when the food arrives to take some photos and pet some kitties. We'll be sure to share all the excitement with you. This is the third time we've been personally involved with a donation like this from Halo. 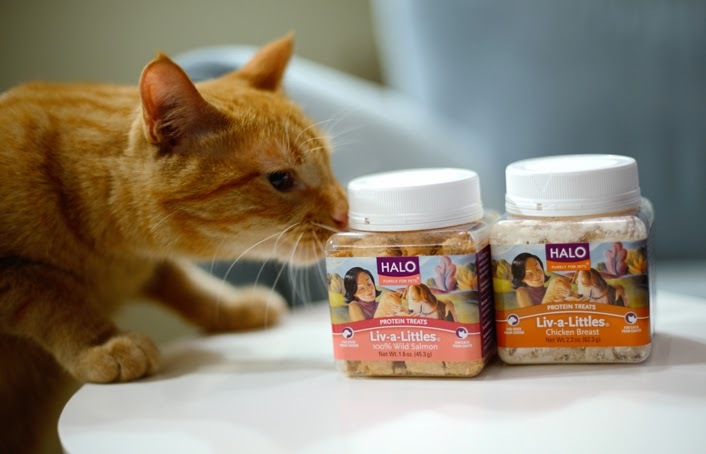 The shelter is SO excited to receive this food, we decided to find out a little bit more about Halo and their behind-the-scenes giving and philanthropy. So Waffles, do you think you can handle this? WAFFLES: Um, let's see. Fill-Land-Trophy. Ok, I think I got it. KATIE: I don't know, Waffles. I better do the talking. Halo is the official sponsor of Freekibble which donates 1.5 MILLION meals per year to shelter pets. 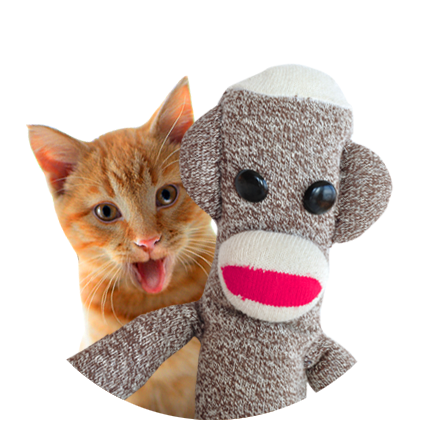 And did you know that Freekibble was founded by an 11-year-old girl? Her name is Mimi Ausland. 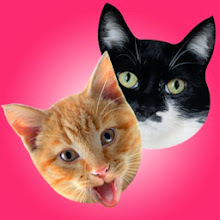 Freekibble.com is a pet-related trivia site where more than 125,000 daily visitors come to answer questions. 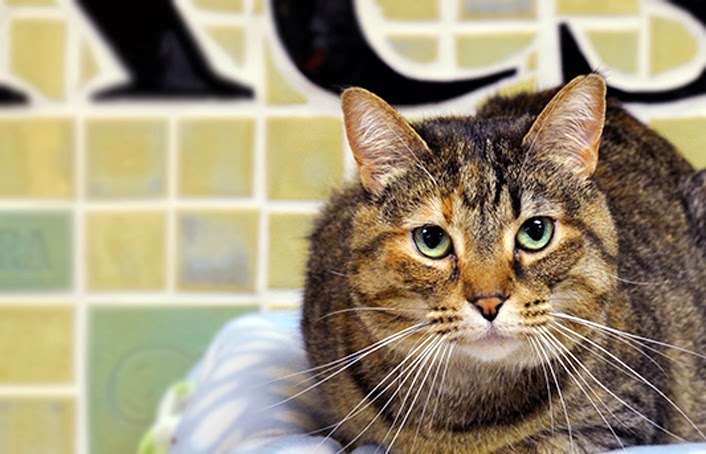 For every question answered, Freekibble donates 10 pieces of kibble to shelter pets. All of this adds up to more than 1.5 million meals. The Halo Pet Foundation is committed to giving at least 5 times the national corporate average, and in fact has exceeded the national average by a factor of more than 10! WAFFLES: Halo is getting ready for a big road trip too! It's their 3rd Annual Kibble Drop. 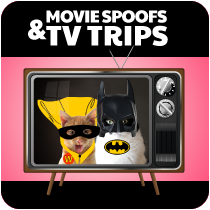 In early December, they'll be visiting 8 cities across the US and delivering 600,000 meals to shelter pets. I wonder if they'd like to borrow the Waffle Wagon??? 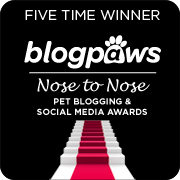 VERY special thanks to Pet360 and Halo Pets for sponsoring this wonderful contest. And BIG thanks to YOU, our generous friends and readers. Your votes made all the difference. We have 10,000 more reasons to love you. So that brings the love total up to about 1,000,000,000,000...or so.